What is Electronic Logbooks (eLogs) or Electronic On Board Recording (EOBR)? According to FMCSA Part 395, Hours of Service of Drivers, section 15 (a)(1), "A motor carrier may require a driver to use an automatic on-board recording device to record the driver's hours of service in lieu of complying with the requirements of § 395.8 of this part". More Importantly, EOBRs are mandated in 2015. All Truckers will be using an EOBR for Hours of Service reporting. RoadTrucker supports 2 EOBRs. One each for Rand McNally and Garmin GPS. So what exactly is an EOBR? The FMCSA Regulations determine the requirements for an EOBR in section 395.2, 395.8 and 395.15. These sections clearly define 2 distinct types of EOBR and the requirements needed to maintain compliancy and avoid expensive fines. The simple difference is that 1 is connected to, and getting data from the truck and the other is not. See RoadTrucker's complete article on our Trucker's Forum. The 3 devices below, when used properly meet the requirements for an EOBR, as defined by 395.15. Both the HD100 and the FT1 must be used in combination with a GPS, while the Rand McNally TND760 is a stand alone EOBR with it's own built in GPS. A EOBR, can help make logs easy and fast. No paper work and Less HOS violation. The EOBR can help manage driver activity, vehicle inspection reporting, mapping, messaging and more, which can keep you compliant and make your job easier. If you already have Trucks using the TND765, then we recommend the Refurbished TND765. If in doubt, give us a call before you make your purchase. 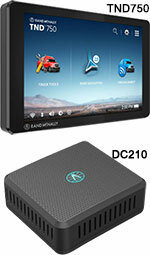 Rand McNally’s low-cost electronic logging device that plugs right into the 9-pin diagnostic port under your dash. 6-pin also available. Perfect for the Owner Operator who wants to keep their cost down. Yes, you still need a Service Plan; it is needed to fulfill the FMCSA Requirements. Looking for a best deal? Choose the Rand McNally ELD Special and save! Looking for 7 or 8 days logs? They stored always on Garmin device which can be save to an SD card, emailed or view it directly on the device. RoadPro 12-Volt Lighter Adapter Extension Cord allows you to use your 12-Volt Appliances up to 12' from your lighter adaptor. 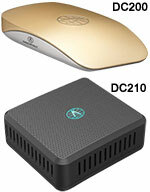 RoadTrucker is NOT recommending the HD100. There has been and still are too many problems with them.